I'hare (choral score) by Elizabeth Alexander. 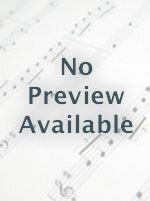 For Mixed Choir and Orchestra (SATB choir, 1.1.1.1,1.1.0.0, percussion, timpani, piano, strings). Collegiate Repertoire, Community Chorus, Concert Music. Native American, Gratitude, Secular, Choral. Moderately Advanced. Choral Score. Duration 12 minutes. Published by Seafarer Press (SF.SEA-074-01). The Pawnee invocation "I'hare!" calls the community into a place of awareness and reverence. This vivid and atmospheric work, modeled after the ancient Hako ceremony, honors those sacred Powers which give and sustain life.